Now that it’s March we are so excited for Spring and all things flowers. 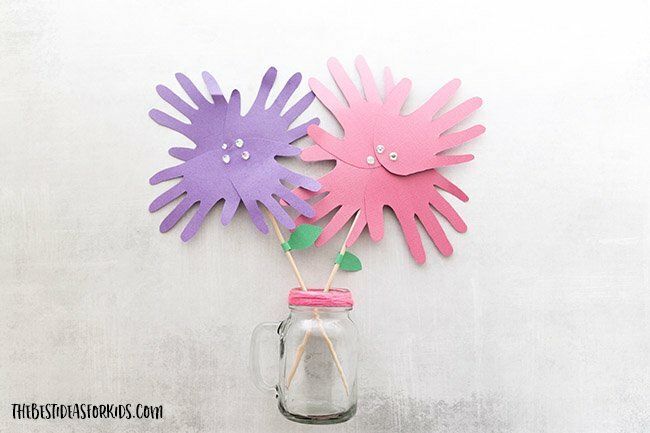 Today we are sharing this adorable handprint flower pot craft. 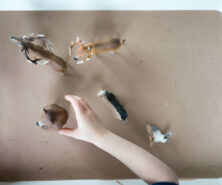 You can make this for Mother’s Day or you can make this just as a fun spring craft. 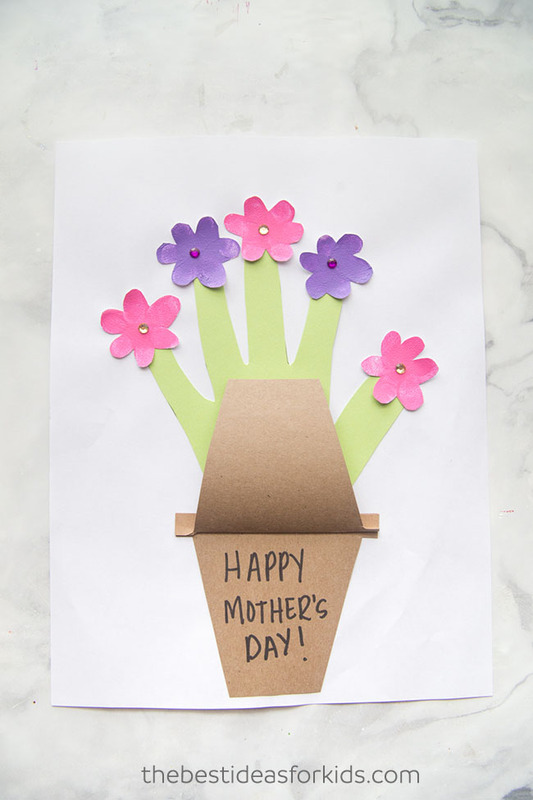 If you are looking for more Mother’s Day handprint crafts, be sure to see all of the other handprint ideas we have here as well! 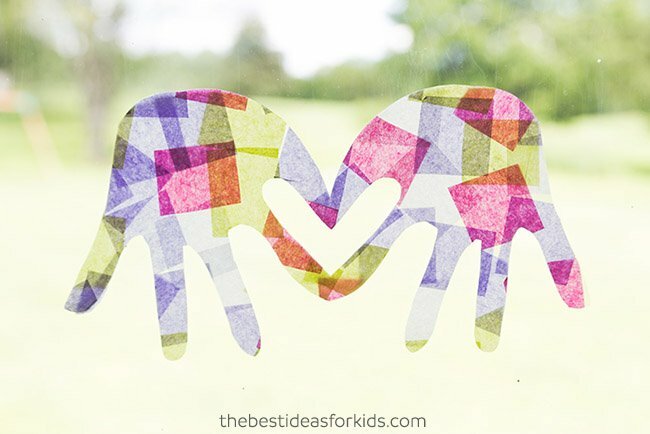 We love handprint crafts and what better time to make them than for Mother’s Day! Mom or Grandma will love receiving this adorable card for Mother’s Day. 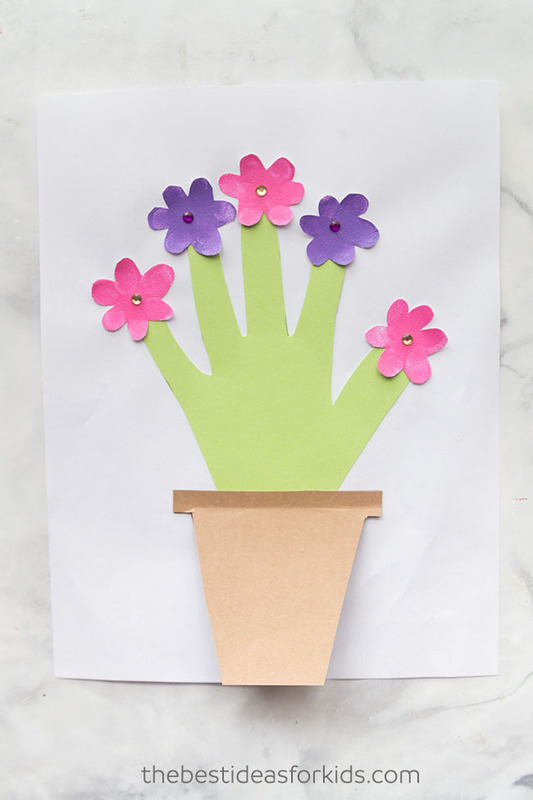 Kids will love making the flowers out of their fingerprints and tracing their hand for this craft. We love that this makes such a cute keepsake. 1. 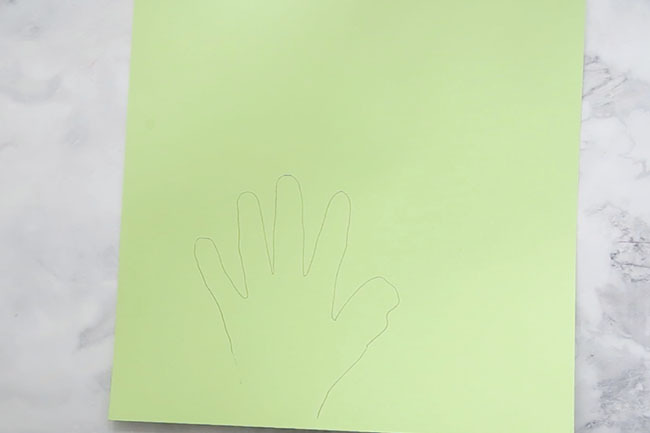 First start by tracing your handprint on green paper. You can also do a handprint with paint too! 2. 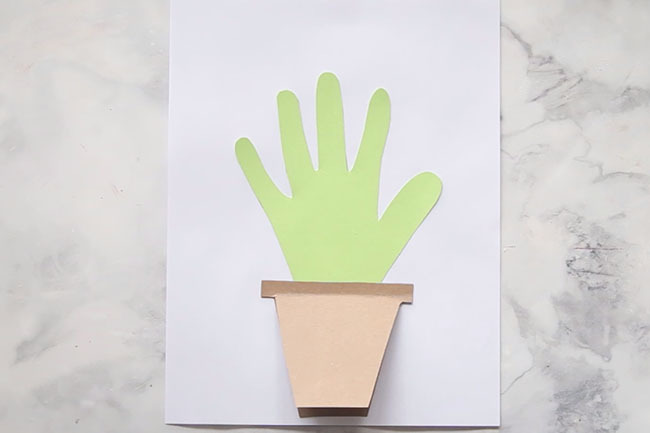 Now draw and cut out two flower pots that would fit to size under your handprint. You can draw one and use it to trace the second one so that they are the same size. 3. 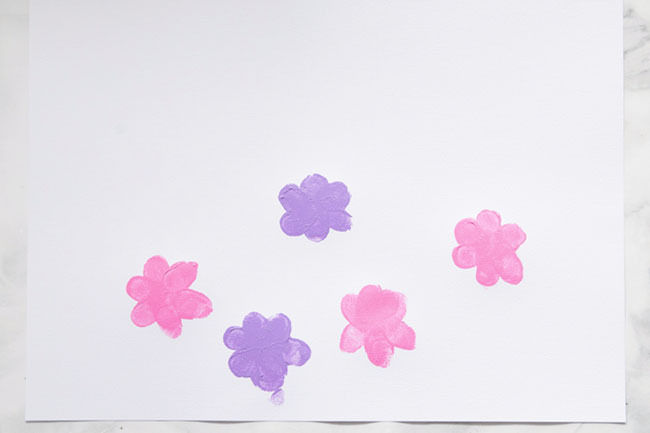 To make your fingerprint flowers, paint or dip any finger and make 6 petals on each flower. We did 3 pink flowers and 2 purple flowers. 4. 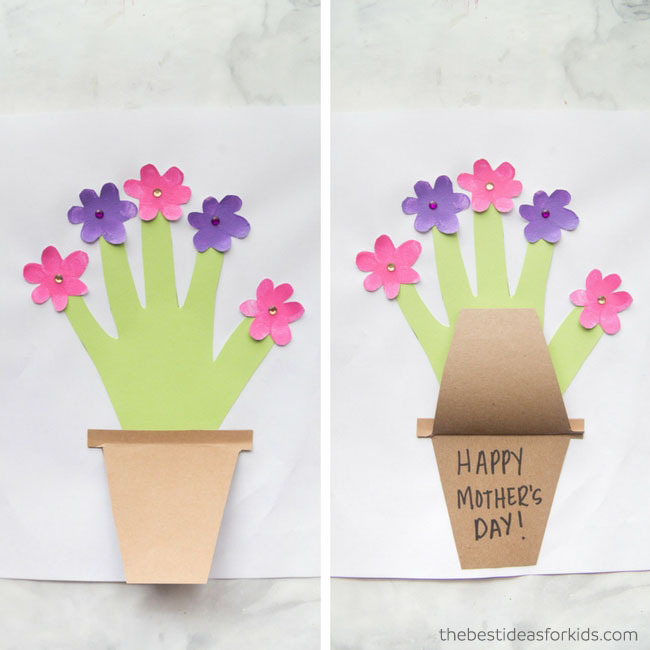 Glue your handprint and flower pot to white cardstock. 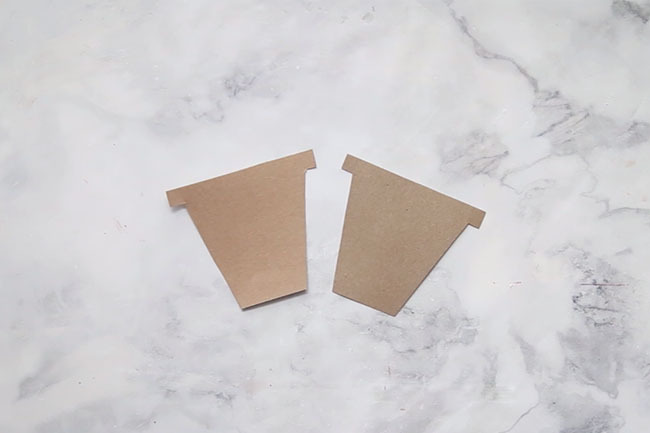 Fold one of your flower pots at the top (so it will open up) and glue on top of the other flower pot. 4. 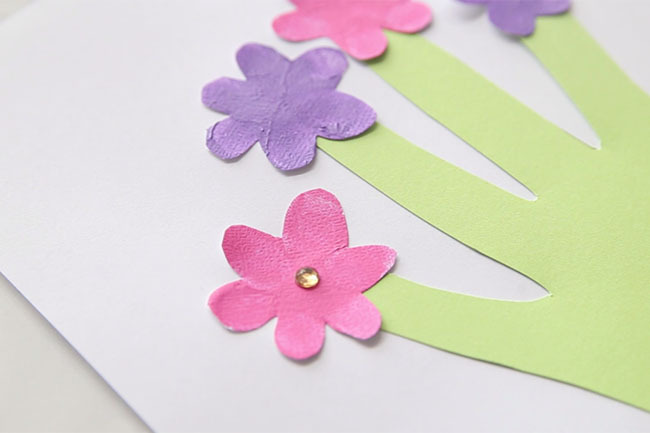 Cut out your fingerprint flowers and glue on sticker gems for the center of the petal. 5. Now write your message inside your card. 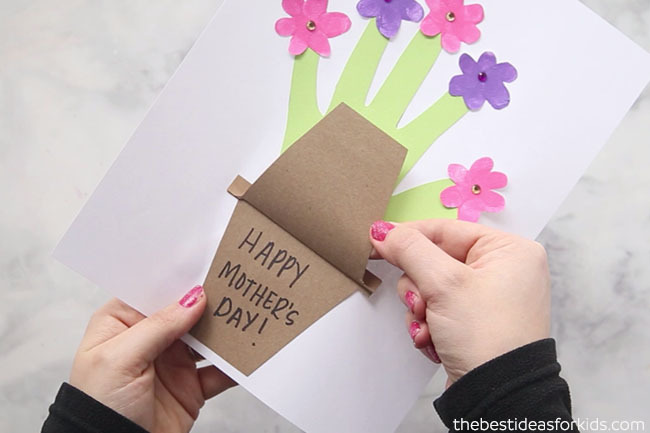 We love how easy and fun this card is to make! 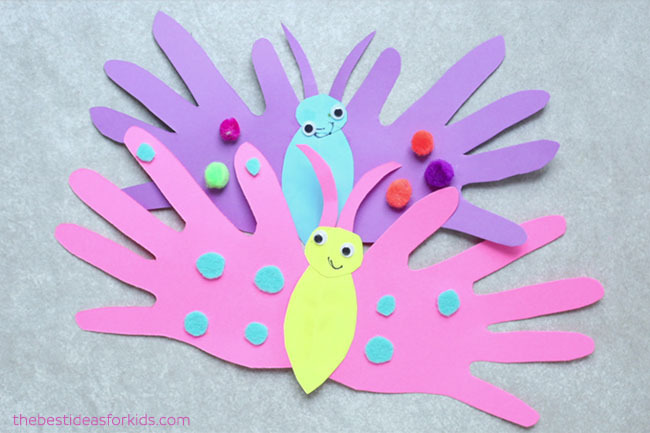 Kids of all ages will love making this for Mom or Grandma for Mother’s Day! Want more ideas? 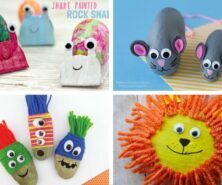 See over 20+ other Mother’s Day Crafts for Preschoolers.